Following last year’s announcement by brand owner Diageo of the rebirth of Mortlach Scotch whisky, the Speyside single malt has been given new, highly distinctive, engineered style bottles. In tribute to these distinguished pioneers, the design style of the new packaging is rooted in an engineered world, reminiscent of beautiful man-made structures, while also elegant, luxurious and contemporary. The bottles, carton and accompanying glasses were designed in New York City by leading French/US design agency Raison Pure, and overseen by the agency's founding partner Laurent Hainaut. The engineering cues incorporated in the bottle design are most visible in the unique faceted base of the Rare Old & Special Strength bottles, while the metal structures of the 18 and 25 year-old bottles protect, enhance and display the fine single malts they contain. The design of the metal structures has been inspired by some of the great engineering feats of the Victorian period, especially the cantilever bridge design made famous on Scotland’s very own Forth Road Bridge. 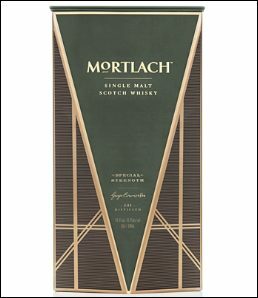 Four new Mortlach variants are designed for global travellers and for connoisseur Scotch whisky drinkers. Due to the very limited supplies of this unique liquid, these new expressions of Mortlach will be sold in 50cl bottles, except for the US where for legal reasons 750 ml bottles will be used. In the early years, the distribution of these rare and prestigious whiskies will focus on carefully selected cities. They will first be available in London and Berlin in June, and in a small number of global travel retail channels. They will then roll out - again in very restricted volumes - to the cosmopolitan cities of Asia-Pacific in August (for example Taipei, Shanghai, Beijing, Hong Kong, Singapore, Melbourne) and at the same time to New York, Chicago and San Francisco in the US. 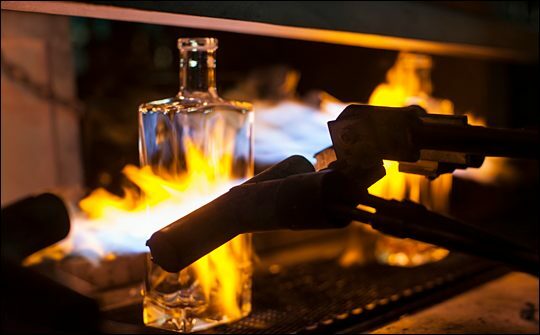 The expansion will include the building of a new stillhouse. This will replicate the bewilderingly complex process with which Alexander paved the way - a unique distillation system (which commentators have attempted to explain as ‘2.81 Distilled’) precisely calculated to create this celebrated, highly complex and richly flavoured whisky. Mortlach has been described by whisky connoisseurs as “The Beast of Dufftown” for its rich and powerful flavours. The guideline pricing will be £55 for Rare Old, £180 for Mortlach 18 year old, and £600 for Mortlach 25 year old. In global travel retail the Special Strength will be £75. (All prices shown are UK, prices for the US and other regions will be announced later).